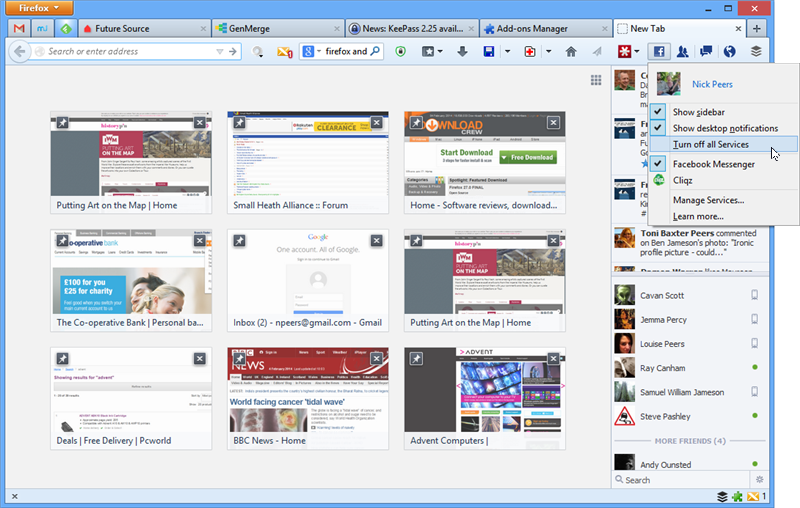 Mozilla has released Firefox 27 Final for Windows, Mac and Linux. The SocialAPI feature which allows you to see your social networking updates directly in the web browser (without any plug-in), can now handle multiple providers simultaneously. So it's now possible to receive your notifications and chat messages from all of your social networks. Mozilla also announced that they have added more social integration options for you to choose from in Firefox, like Delicious and Saavn. Firefox is still a great browser, but these features need to be add-ons or baked into an all-in-one client if users wanted everything in one.